There’s some confusion going on when it comes to how to choose a power supply. So, I thought I’d clear up some doubts, and give you a simple, beginner-friendly way of choosing a power supply. The voltage is the output voltage from the power supply. The current is the maximum current that the power supply can give. 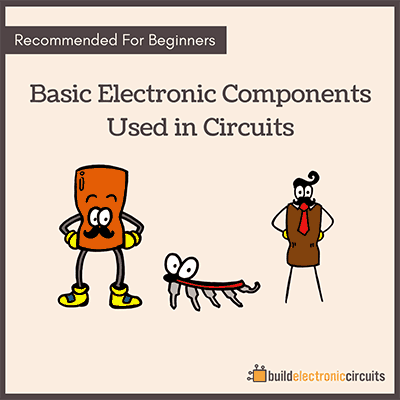 Confused about voltages and currents? 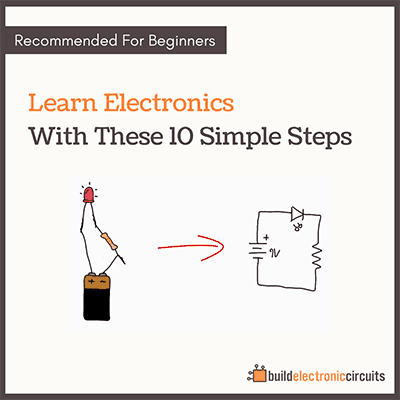 Then check out What You Need to Know About Current, Voltage and Resistance. 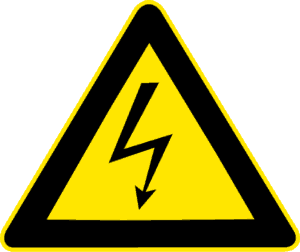 The first thing to think about when choosing (or building) a power supply is the voltage. What voltage does your device need? If your device needs 9V, you need a 9V power supply. If your device needs 5V, you need a 5V supply. Also, if your device needs a DC voltage (which is the most common), you need a DC output from your power supply. If your device needs AC voltage, you need an AC output. The second thing to think about is current. This one is a bit trickier and causes a lot of confusion. The device you want to power will need a specific amount of current. If you bought the device, it should say how much current it needs somewhere in the technical documentation or by the power connector. If you built the device yourself, you can calculate or measure the amount of current needed. So, let’s say your device needs 1A (ampere). This means you need to choose a power supply that can give minimum 1A. Sometimes a power supply gives you a number in Watts (W). Watt is actually just the voltage multiplied by the current. So, if you have a 5V power supply that can give 1A of current, you have a 5W power supply. Current equals the Watt divided by the Voltage. So that’s 100 / 12 = 8.3 A. Question: I have a 3A power supply, will it break my 500mA circuit? Answer: No. A 3A power supply will not force 3A into your circuit. A 3A power supply will supply up to 3A of current. It’s your circuit that decides how much of that current it will actually use. Question: My device says 5V (DC) 1A. What power supply do I need? Answer: You need a power supply that gives 5V DC and has a maximum current of more than 1A. Question: My circuit needs 9V, can I use my 12V supply? Answer: No. 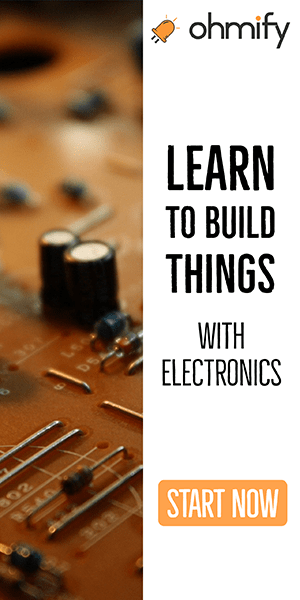 If your circuit needs 9V and you connect it to 12V, it’s a good chance it will break. What questions do you have about how to choose a power supply? Leave your comment question in the comment field below, and I’ll do my best to answer them all. When purchasing a UK 12vdc power supply should I be buying it based on the Input or Output wattage? If you buy a power supply that gives 12VDC, 1A (12W) it should work perfectly. Note that you can also use a power supply with more than 1A output. You just have to make sure it gives at least 1A. but what is the power specification of the items. what if the item requires 13v and 1A, and the power supply gives 12v 1A max. i think there will be problem as you have told us earlier. pls i need clarification. Yes, you need to have the same voltage. If the device requires 13V, you need 13V. For current, if your device requires 1A, your power supply needs to have *at least* 1A or more. First set the multimeter to a voltage setting that is larger than the one you expect to measure. Ex: if you expect to see 9V, use the 20V setting. Then use the measurement leads to measure the voltage between the two points you want to check. Touch the positive measurement lead to the most positive point and the negative (COM) to the most negative point. Thank you for this helpful post. I appreciate your efforts to clarify issues like this one. Here is another issue where we could use some insight. I often see ads for phone chargers that purport to be much faster at recharging your phone than the one that originally came with the phone. Since, as you explained above, the phone draws only the current it needs, how can one charger work faster than another? Many modern smart phones use USB chargers these days. The USB cable has 4 wires. Two of those is the plus and minus of 5V. The other two are data lines. The charger will set the voltage of the two data lines to a certain level to tell the phone which current rate it should use. If you have a few devices of various voltages, i suggest to use a variable power supply from say DC 0V to 30V or more. You can also build your own variable power supply. I made my own ad it’s nice to do your own projects & is cheaper. A simple one can be built from the LM317 chip, for those who’re interested. You’ll find an example in it’s datasheet. [Question]: I have a 3A power supply, will it break my 500mA circuit? No. A 3A power supply will not force 3A into your circuit. A 3A power supply will supply *up to* 3A of current. It’s your circuit that decides how much of that current it will actually use. [Question]: My device says 5V (DC) 1A. What power supply do I need? You need a power supply that gives 5V DC and has a maximum current of 1A or more. [Question]: My circuit needs 9V, can I use my 12V supply? No. If your circuit needs 9V and you connect it to 12V, it’s a good chance it will break. THIS IS WRONG…. 3A POWER SUPPLY BREAK 500ML CIRCUIT …. AM DAM SURE…. FOR EXAMPLE IF YOUR CELL PHONE IS 5V 500MA POWER SUPPLY??? YOU CAN TRY TO CONNECT WITH 5V 3A POWER SUPPLY.. YOU CAN SEE WHAT WILL HAPPEND.. IF YOU TRY THIS?? PLEASE KEEP A DISTANCE FROM THE EXPERIMENT CELL PHONE.. HEHEHE..
Oh yes, connecting a power supply with too much current directly to a battery could damage the battery yes. A battery charger is not the same as a power supply. But most modern phones have the charger part included in the circuitry and make sure that this doesn’t happen. Thanks for the comment! I am trying to learn whether it is the power supply that pushes the current to the device, and the device regulates it to what it needs, or is it the device that pulls from the power supply the amount of current it needs. Base on my limited understanding of electronics, if the power supply pushes, the device would have to regulate the current to what it needs. But if it is the device that pulls the current it needs then there would be no need for regulation. Am I correct? However the important question is whether it is a push or a pull. Thanks for your insight. The device regulates how much current it draws from the power supply. Hi. i m doing one project on Peltier cooler, My peltier name is Tec1-12706, (12 valt, 6 ampere), i used my computer SMPS as power supply with 12 valt 18 ampere, when i connect power supply with peltier the wire get hot at that place where i have joined together with peltier and smps wire. is it happen as more ampere or Wire is thin ? If the wire get hot, it’s too thin for the current yes. am looking for a way to make an electric cooling system that runs on electricity. i know peltier will not do the work. so pls i need help. thanks as you help. I don’t know much about cooling systems. But maybe someone else has an idea? For my application i need 5V, 3A power supply.. so how can i get 3A current at the output? can i put 230-12V, 3A transformer to get 3Amps of current? Let’s go a little bit slower with the Adapter, like the identification of it’s parts. There is the plug that goes into the wall. I have no name for that but “plug”. Then, there is the output source, usually male, that plugs into whatever device. I have no name for that. Finally, there where the device accepts the input power, usually female, and I have no name for that. If I want to power a circuit via adapter, I’ve got some interfacing to do. So far, I have only needed YwRobots from Banggood, but that won’t help me forever. BTW, maybe you could do an article on YwRobots. Let me re-ask my question. I have several power cube adapters spanning back 4 decades that I never threw away. How do I read them. Can I cut off their plugs and make my own DC Circuits powered from an electrical outlet? Yes you can. They should have the voltage and maximum current rating written on them, And you can use a multimeter to measure the wires to find plus and minus. Great comments. Since we are discussing power supplies, are constant voltage supplies and constant current supplies both examples of power supplies? Is power supplies just a general name for these types of supplies? Or are there other types of supplies? Hi, yes those two are power supplies. And I can’t think of any other types of power supplies. If you have two 5V power supply that require 1A each, what should I be looking for in a power source? 5V 2A? If you have two circuits that need 5V 1A each, yes then you would need a power source of 5V 2A.